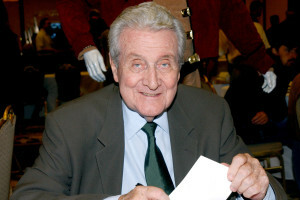 As most fans know, (Daniel) Patrick Macnee passed away on June 25, 2015 at the age of 93. 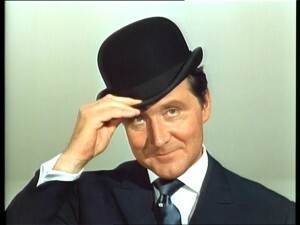 The actor was best known for playing the internationally recognized, charmingly elegant, quintessentially English, and slightly mysterious character of John Steed in the 1960’s British television series, The Avengers, and its follow up, The New Avengers. However, it wasn’t on either of these shows that I first saw him. 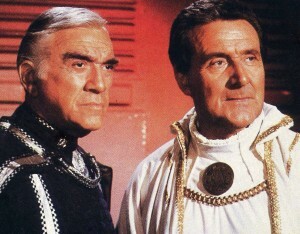 It was in Battlestar Galactica that, as a young boy, I watched him for the first time playing three roles at once: two voice acting roles (Opening Announcer & Imperious Leader) and portraying Count Iblis on screen. Though there are 167 credits in his work history, Steed will always be the one role everyone will remember him for. According to his son, Rupert, Macnee died of natural causes at his home in Rancho Mirage, California, with his family at his bedside. Rest well, good sir…so say we all.